Terry Phillips is a Senior Assistant County Attorney and the Team Leader of the DeKalb County Law Department’s Administrative Team. He provides advice and counsel to County departments and elected officials, including but not limited to the Chief Executive’s Office, Board of Commissioners, Public Safety, Human Resources, and Purchasing and Contracting. His practice includes litigation, negotiation, training staff, and drafting a variety of documents including pleadings, briefs, legal opinions, ordinances, resolutions, policies, procedures, and contracts. Terry studied Constitutional Interpretation under United States Supreme Court Justice Harry Blackmun at the Universite D’Aix-Marseille, Faculte de Droit, in Aix-en-Provence, France and earned the degree of Juris Doctor from Louisiana State University, where he was appointed to Wex S. Malone American Inn of Court for his outstanding performance in trial advocacy. He has earned certification as a Certified Public Purchasing Officer by the National Institute of Government Procurement and a Certified Contract Compliance Officer from the American Contract Compliance Association. His associations include serving as a State Bar of Georgia Unlicensed Practice of Law District 4 Committee Member, DeKalb Bar Association Board of Directors and President, DeKalb Lawyers Association Board of Directors and President, and Leadership DeKalb. 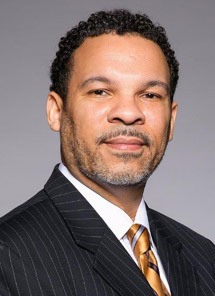 He has served as a consultant and/or volunteer to a number of non-profit organizations, including the United Way of Metropolitan Atlanta’s Volunteer Initiative Program, DeKalb County Chiefs’ Association, Inc. and DeKalb County PAL Plus, Inc. Since 2010, he has also served as an on-site, adjunct professor for Strayer University.